Boston Fire Commissioner Joseph Finn. 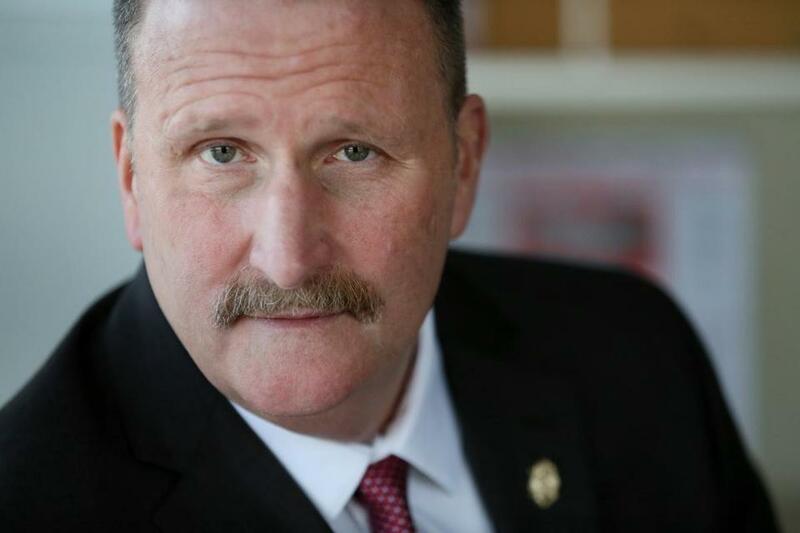 Boston Fire Commissioner Joseph Finn will be honored by the Massachusetts Biotechnology Council for his work to reduce cancer rates among firefighters. Finn will receive the first-ever State of Possible award issued by the trade group at its annual conference Wednesday. MassBio says the award — to be given out annually — recognizes someone who has contributed to the wellbeing of the state. MassBio CEO Robert Coughlin said he reached out to Finn after seeing a news report about heightened cancer rates among firefighters. Coughlin said he was impressed by the steps Finn had taken to combat that trend. “I met a person who was willing to fight for the men and women of his department like I’ve never seen,” Coughlin said. Research conducted by the federal government has found firefighters are at an elevated risk for certain forms of cancer. According to one study, mesothelioma in particular is twice as prevalent among firefighters than it is throughout the US population overall. Finn, who became commissioner in 2014, has made reducing cancer rates and cancer-related deaths among firefighters a priority. Under his tenure, fire stations in Boston have been equipped with equipment to clean off gear that can carry carcinogens from the site of a fire. Finn also created a health, safety, and wellness division meant to raise awareness of the elevated risk of cancer.